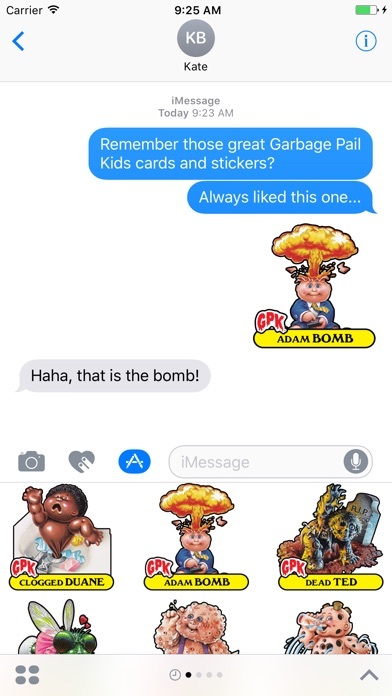 Bring the fun of Garbage Pail Kids® to your iMessages with this exclusive sticker pack! 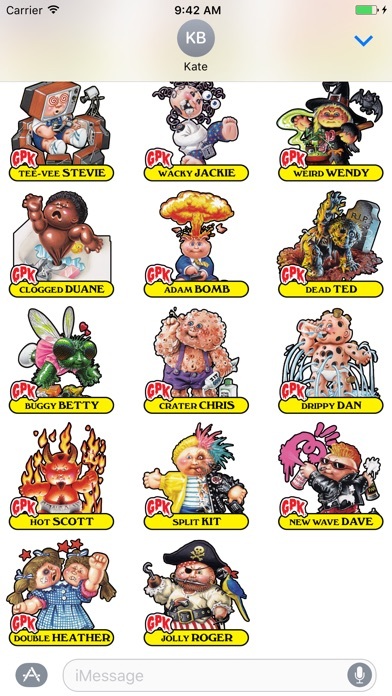 Volume 1 of GPK℠ includes the following 20 stickers from the 1985 series 1 and series 2 of Garbage Pail Kids® by Topps®: • ADAM BOMB • BUGGY BETTY • CLOGGED DUANE • CRACKED JACK • CRANKY FRANKIE • CRATER CHRIS • DEAD TED • DOUBLE HEATHER • DRIPPY DAN • GHASTLY ASHLEY • HOT SCOTT • JOLLY ROGER • LEAKY LINDSAY • NASTY NICK • NEW WAVE DAVE • POTTY SCOTTY • SPLIT KIT • TEE-VEE STEVIE • WACKY JACKIE • WEIRD WENDY For support please e-mail us at support@toppsdigitalstickers.zendesk.com or follow us on Twitter @ToppsDigital Let us know what you want to see in future sticker pack releases! Excellent Pack. Bringing back the memories! Loved these as a kid. very cool for only $2. 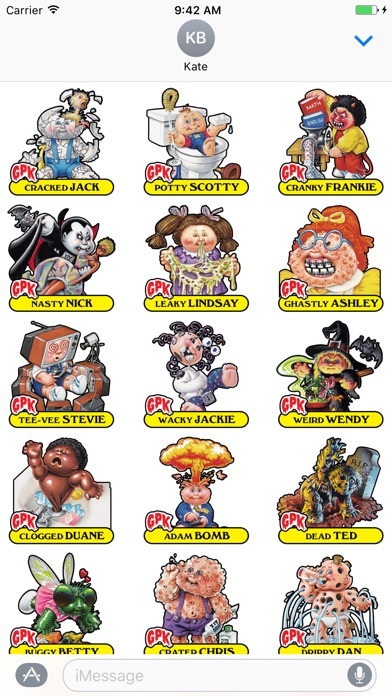 If you love garbage pail kids you will enjoy sending these! I thought I was paying for the whole first edition. You only get a few select from the first edition. I want my two dollars back. 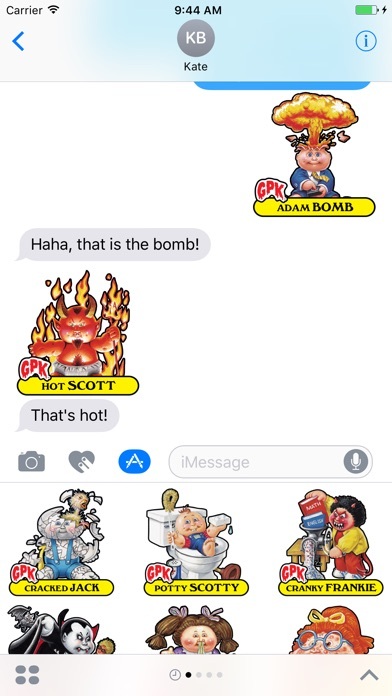 Add the rest of the set!! This has got to be the stupidest thing I've ever paid for. They are not worth the time or 2$.